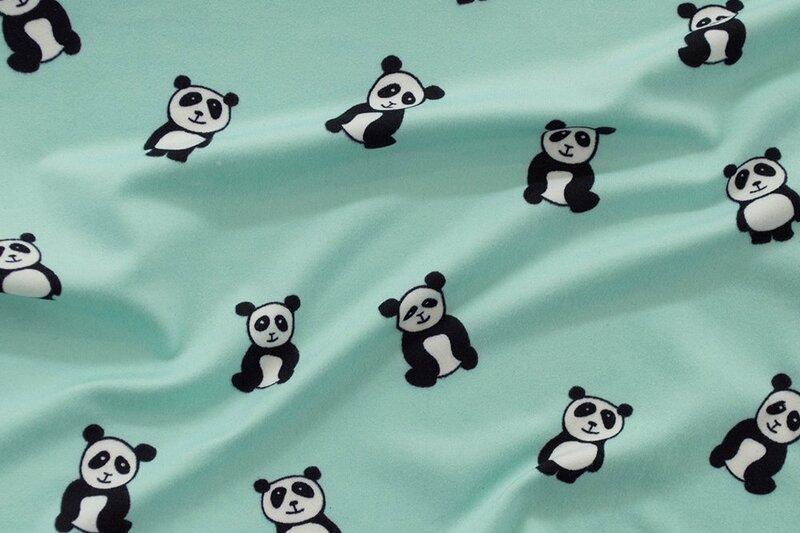 Panda Double Brushed Knit on Mint. This beautiful ultra soft jersey knit print fabric is brushed on both sides and feels heavenly against the skin, with 4-way stretch for comfort and ease. Perfect for gathered knit dresses, skirts, stylish tops, t-shirts, and even lightweight activewear. 96% polyester 4% lycra- 58" wide.